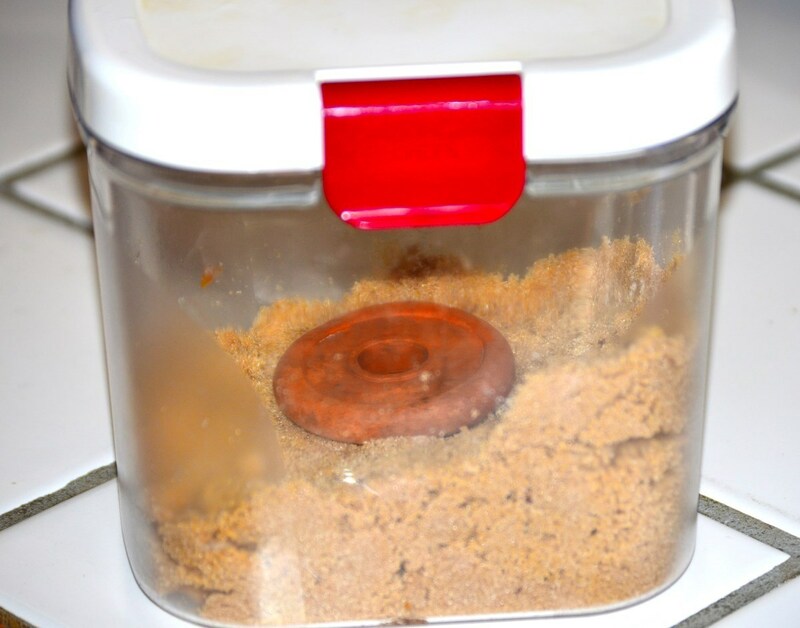 A small piece of moistened terra cotta can make a difference in your brown sugar by not allowing it to harden in your cannister. This is a guide about use a terra cotta disk to keep brown sugar soft. Several years ago, I'd purchased new containers/canisters for the flour and brown sugar. The brown sugar container came with a little round "Terra Cotta" disk, and I had no idea what that Terra-Cotta disk was for, or what it was doing in the package with my order, as I actually thought they'd made a mistake with my order. Then I read the directions on the brown sugar container/canister. Well, silly me, that Terra-Cotta disk made all the difference in the world as far as brown sugar goes in keeping it soft, no matter how long it's in a canister. All one needs to keep their brown sugar soft *forever and a day*, is add one of those Terra-Cotta disks to it, and they can be purchased (I'd read today about them before posting this) they even sell them at plant nurseries for 3 bucks. I did see some on eBay today too and they're 6 bucks and pretty cute. They have little bears and animal shapes of the Terra-Cotta that's just for brown sugar canisters. Here's all that needs to be done. Make sure the Terra-Cotta disk is washed first, of course. Then drop it into a glass of warm water for 15-20 minutes. Take it out, dry it off, and throw that little disk right into your brown sugar canister/container, and that is it! You will forever and a day have the softest brown sugar that never hardens again, seriously. 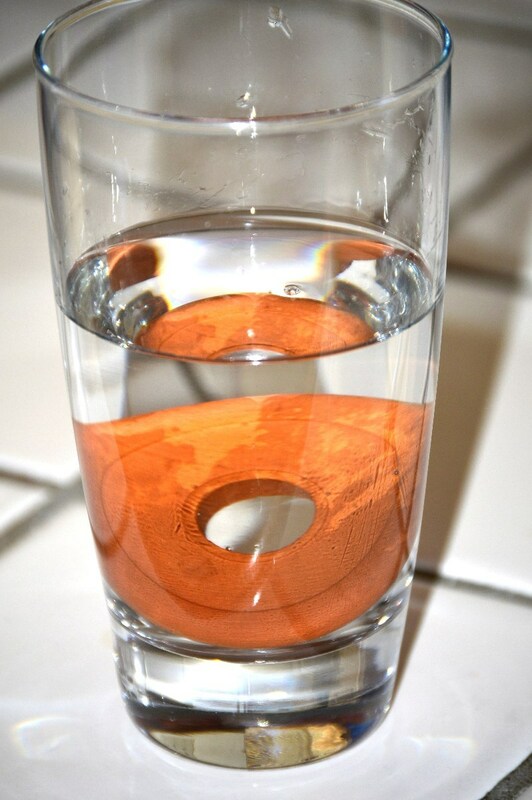 The Terra-Cotta disk lasts for about 3 months, then you need to drop it into a glass of warm water again, then pat it dry, and put it back into your container of brown sugar. 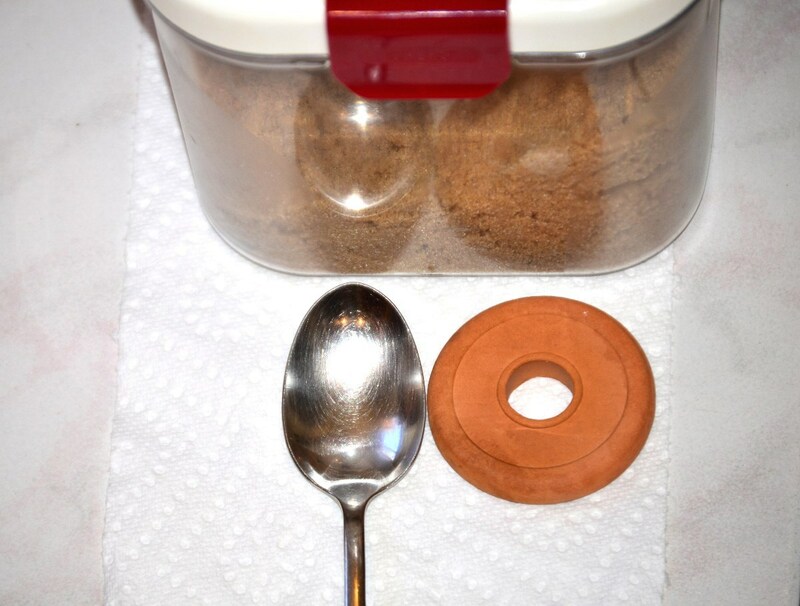 The pictures below show how easy this disk is just "thrown into the brown sugar container/canister", and how easy it is to soak the Terra-Cotta disk in a glass of warm water. I also took a picture of how small the disk is by putting a tablespoon next to it, as it's not large at all. Such a little thing that does so much. This little Terra-Cotta disk has worked for years now, and never again do I have to chisel away at brown sugar that's become a concrete block inside my canister.